Charged under California Penal Code 487, grand theft is committed when someone steals property (or services) from another without consent having an intrinsic value exceeding $950. The value of services, labor, or property must exceed $950 or the crime is petty theft. For the purposes of establishing the value of property or labor, the amount is measured on its fair market value and not based on the value to any particular individual. For instance, the sentimental value of an item to a particular person is not considered when calculating its value. The crime can also be accomplished by means of fraud, embezzlement, false pretenses, or grand theft auto. The government may present multiple theft theories to a jury. However, there is no requirement the jury must agree with the prosecutor’s theory. Instead, all the jury must agree on is that an unlawful taking or property occurred. Furthermore, it’s not uncommon for someone arrested for grand theft to face additional charges of burglary, petty theft, shoplifting, receiving stolen property, and even robbery if force or threats were used to carrying out the theft. Law enforcement typically make a felony arrest with bail set at $20,000. However, grand theft is a wobbler meaning the prosecutor holds discretion when electing to charge someone with either a felony or misdemeanor. Thus, although a person has been arrested for felony grand theft, they may only be formally charged with a misdemeanor. By retaining a Criminal Defense Attorney early, an attorney may be able to contact the prosecutor prior to formal filing in an effort to convince them to file a misdemeanor charge instead of felony charges. What Must the Prosecutor Prove for Grand Theft Charges? The fair market value of the property or labor was in excess of $950. Intent: All theft crimes, including grand theft, require a person to harbor the specific intent to steal. Thus, alleged grand theft accusations carried out on accident or misfortune will not be punishable by law. In other words, if someone innocently forgot to pay for an item after leaving a store, then they did not harbor the specific intent to steal it. Amount: As an essential element, the good(s) or service(s) must exceed $950 to accomplish grand theft charges. The prosecutor typically relies upon the exaggerated claims of the accuser when litigating this element. Additionally, the value must be determined at the moment the crime was committed and not consider any potential increase overtime after the crime was committed. To undermine the government’s claims, it’s important to determine the price of the property in other localities, whole sale price, and perhaps expert opinion in an effort to argue the value is at or below $950. Claim of Right: Asserting a good-faith claim of right is an affirmative defense used to negate the “property of another” element. To succeed under this defense, it must be established that a person believed in good-faith that he or she had a right to the specific property they openly took. The important aspect is whether someone was acting with good-faith. The application of the claim of right defense additionally supports someone good-faith intentions even if the belief is mistaken or unreasonable. Consent: The crime of grand theft is not committed if the owner of the property gave consent. While consent can constitute an absolute defense, it may be limited within scope. For instance, borrowing property from someone longer than permitted. Although initially consensual, the extended period transitioned the act into a crime. Any consent defense typically requires the owner’s statement in support of this claim or a defendant should gather text messages, social media posts, or witnesses to the property owner giving consent as supporting evidence. PC 487 is punishable by either a felony or misdemeanor. A misdemeanor carries up to one (1) year in the county jail. A felony sentence carries up to three (3) years in county jail. The court will also order restitution to be paid back to your accuser for any financial loss. In addition, grand theft charges are a crime of moral turpitude and may result in adverse effects to those holding a state issued license or seeking US citizenship. 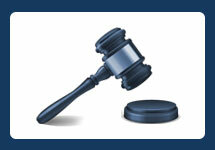 Sentencing enhancement may apply if the value of the property or service was in excess of $100,000. Consequently, a conviction would require a mandatory state prison sentence. Whether you have been charged with felony or misdemeanor grand theft, there is no question that an experienced theft crimes attorney can make all the difference in the outcome of your case. Our offices represents clients accused in Orange County, Los Angeles, Ventura, San Diego, San Bernardino, and Riverside counties. 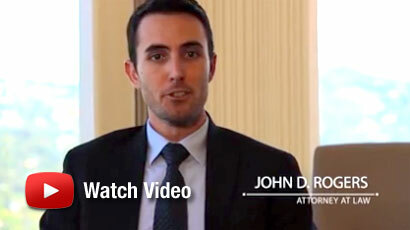 If you’ve been charged with grand theft under PC 487, then contact an Orange County Criminal Defense Attorney at the Law Offices of John D. Rogers for a free confidential consultation concerning your rights and defenses. Penal Code 487, subdivision (b)(3), effective January 1, 2010, created the threshold value to qualify the taking as grand theft if the money, labor, or real or personal property taken aggregates $950 or more. See People v. Lizarraga (1954) 122 Cal.App.2d 436; and People v. Latham (1941) 43 Cal.App.2d 35. See People v. Counts (1995) 31 Cal.App.4th 785, 792-793; see also CALCRIM No. 1861.